Then I imported the OpenSSL headers, so IDA now understands what RSA* and BIGNUM* are. Now, if I hover over v3, I see it's parsing the struct. So I want to do something like grab the value of rsa->d->dmax, but there doesn't seem to be a way to do this? I can't seem to find a way to access v3 by name in IDAPython, nor can I seem to 'walk' the structure to get to the int that lives at dmax. Is there some way to do this? Now you can see all the struct members value. 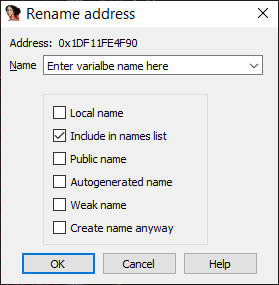 Read the source (or look in IDA) to find the location (byte offsets) of d in rsa_st and dmax in bignum_st. This is easy since the members of the structures above d and dmax are pointers or int types. Inspect the disassembly just before the call and determine the location of v3 - from the pseudocode it appears to be stored in the stack. If you are lucky, pressing tab while your cursor is on v3 will take you to some mov operation in disassembly. 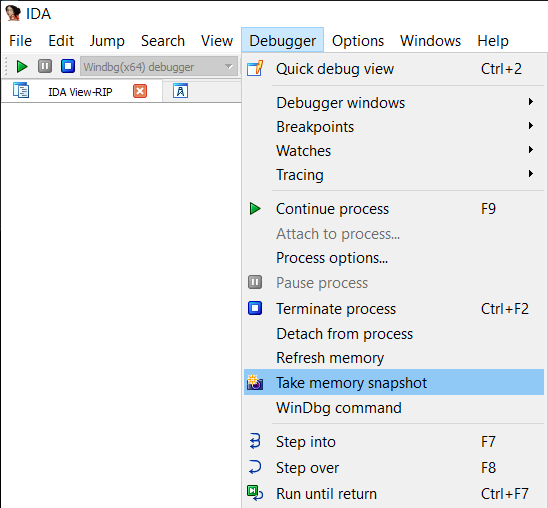 When the breakpoint is hit, use a combination of idc.get_reg_value and idc.get_bytes commands (see https://www.hex-rays.com/products/ida/support/idadoc/162.shtml), using the result from step 2 as a starting point. Not the answer you're looking for? Browse other questions tagged ida debugging idapython hexrays or ask your own question.